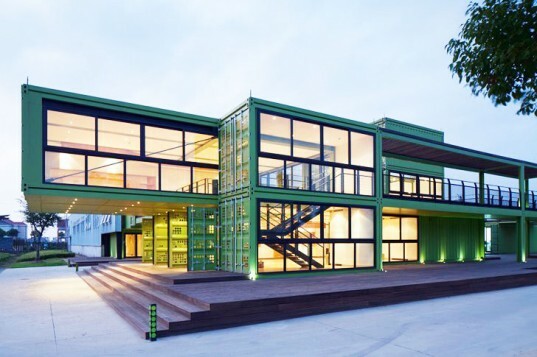 Shipping Containers: Industrial Present, Sustainable Future? Is it nice to live in them, work in them, learn in them, play in them? Are they part of the answer to both the housing and environmental crisis? 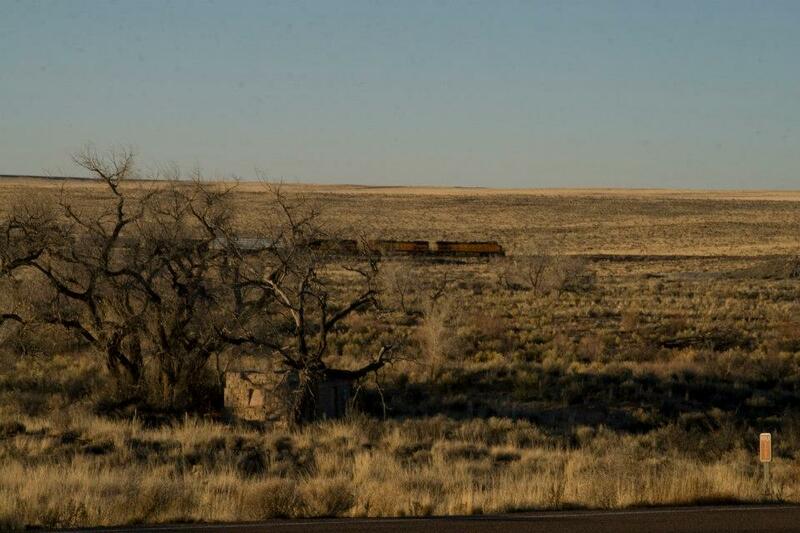 Long and narrow rectangles of steel, containers are a part of my childhood, forming the long trains that snaked across our landscape. 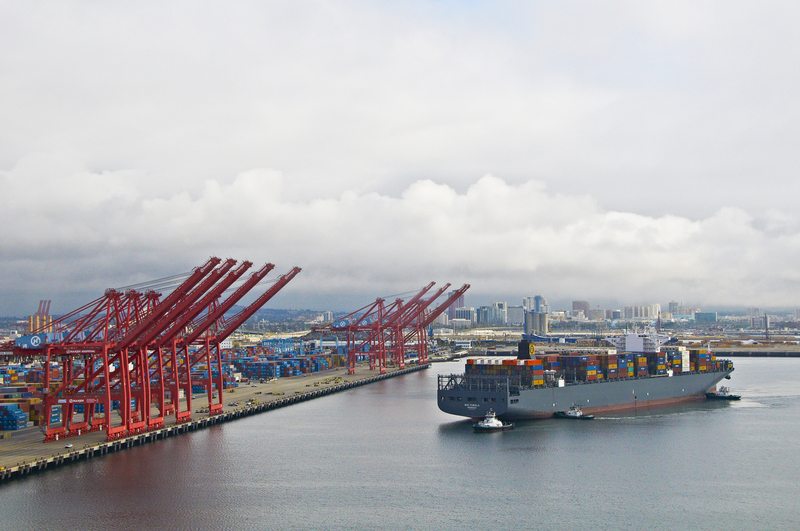 Courtesy of the Port of Long Beach. The second series of The Wire exemplifies the size, the feel, the tragedy of automation on the docks. 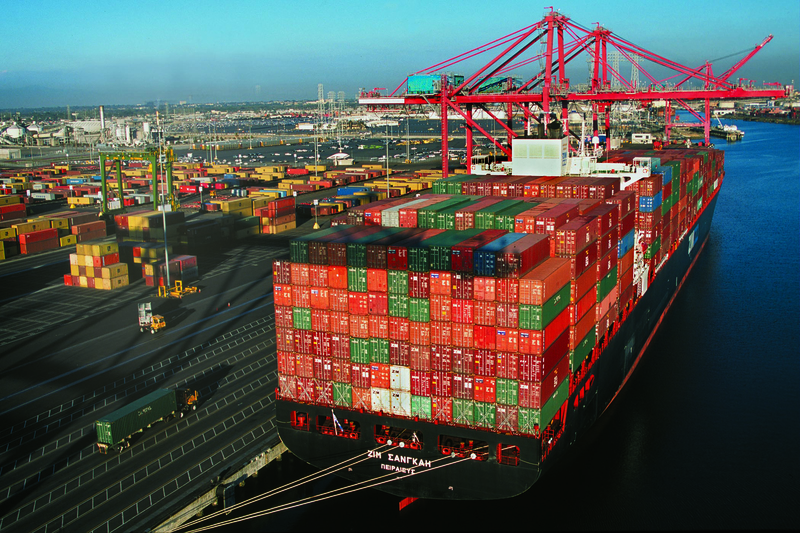 Containers are symbolic of trade, the industrial side of consumption. Now, increasingly they are being used as building blocks for places that form part of our daily lives. 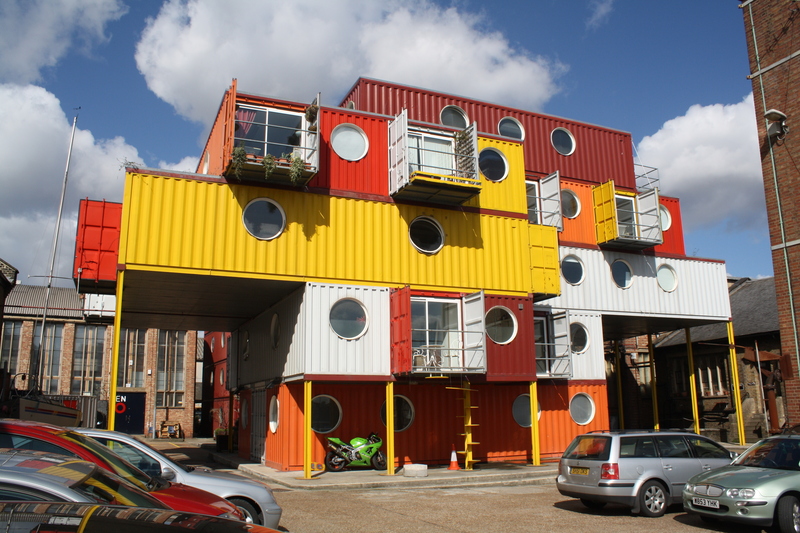 Devised by Urban Space Management Ltd, the Container City™ system re uses shipping containers linked together to provide high strength, prefabricated steel modules that can be combined to create a wide variety of building shapes and can be adapted to suit most planning or end user needs. This modular technology enables construction time to be reduced by up to half those of traditional building techniques while minimalising on site disruption and remaining significantly more environmentally friendly. Indirect energy the energy used to acquire, process, and manufacture the building materials, including any transportation related to these activities. The recurring embodied energy in buildings represents the non-renewable energy consumed to maintain, repair, restore, refurbish or replace materials, components or systems during the life of the building. This reflects all the costs of mining, processing and transporting of building materials, while also the cost of construction and then the ongoing cost of inhabiting and maintaining the building. Fascinatingly, Container City was also the title of a 2009 video game (see a walk through here), where the container city was instead a shanty town, a makeshift ghetto built of port detritus, filled with criminals that need to be hunted down and destroyed. It is the same kind of look but on a massive scale, rusted out, grafittied. It provides a vision of a possible future far removed from the brightly painted and hip constructions now decorating London, and being built around the world. Given a widening inequality, I’m not sure which is a more realistic depiction of our future. 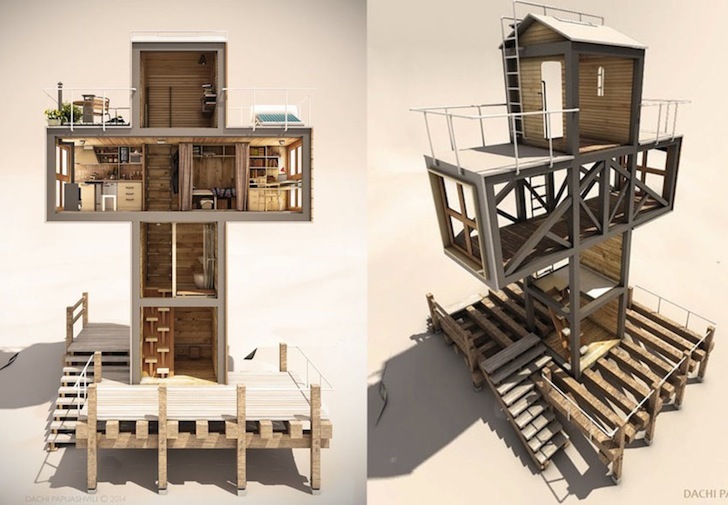 What a luxury shipping container house. I am searching this information form few day. I found this information on your blog. You blog is very informative. I liked this is house. It is looking very beautiful. I’m happy that you shared this helpful information with us. Thanks for sharing this.